Since our inception, we have helped support the formation of 17 independent park Friends organizations bringing the statewide coalition of Friends to a total of 29 volunteer organizations. Created a new and user-friendly Web Site. FCSP continued to support the passage of S.J. 39 – the Constitutional Amendment to Better Protect State Land. Unfortunately, the Constitutional Amendment was not called to a vote this session. FCSP sponsored a field trip to Central Park which was led by the Central Park Conservancy. The purpose of the trip was to promote networking among the statewide Friends Groups and to learn how a large City Park Volunteer organization works. FCSP assisted the a small but enthusiastic group develop the Caretakers of Soapstone – a start-up Friends group whose mission is to restore the failing Soapstone Mountain Tower in Somers, CT. Passage of S.J. 36/Resolution Act 16-1: Constitutional Amendment to Better Protect Public Lands. S.J. 36 passed both chambers on the last day of the regular legislative session. This priority resolution (which has to be passed again in the 2017-18 legislative session to make it onto the November, 2018 ballot) would ensure a public process before state-owned public lands could be sold, swapped, or given away by the General Assembly. Specifically, the General Assembly could not require a State agency to sell, swap, or give away public lands without 1) a public hearing, and 2) a 2/3rd majority vote on a bill dedicated to that specific proposed conveyance of public land. Passage of SJ 36 was an ENORMOUS first step toward better protecting your state lands, and many legislators were wonderfully supportive to make this happen (though Senator Kevin Witkos and Representative Roberta Willis pictured above deserve extra special mention)! H.B. 5627/P.A. 16-72: Remove Requirement to Pay Sales Tax at Gates to State Parks. The “budget implementer” passed at the end of the 2015 session added a 6.35% sales tax on top of regular parking fees at State Parks, municipal lots, and hospital/nursing home parking areas with over 30 spaces. Thankfully, this sales tax requirement (which had led to making a LOT of change and increased waiting times to enter State Park gates) was removed. 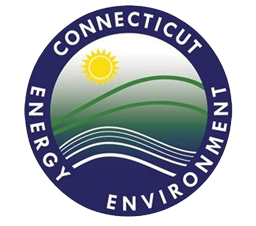 FCSP informed the public about legislative activities and bills related to Connecticut State parks, forests, and open space. FCSP focused support on our statewide network of Friends organizations through an active social media presence and e-blasts. Launched Sharing the Landscape, a brand new FCSP electronic newsletter designed to further enhance communication and cohesiveness by sharing information of Friends Group activities and events, helpful information for non-profits, information from DEEP and CFPA and much more. Friends groups are encouraged to send news from their groups so that we can all benefit from your innovative ideas and successes. Yes, failures may also be shared as those too are teachable moments. FCSP embarked on an updated Strategic Plan Work continues on this effort. When completed, it will be shared with our membership. FCSP facilitated a discussion among Friends Gift Shop managers to help improve marketing and sourcing. FCSP sponsored a professionally-led, late-fall seminar on fundraising tips and techniques for all members and Friends organizations. The workshop was well-attended and speaker Harriet Grayson provided a wealth of information. FCSP helped two new Friends Groups become established this year, Friends of Machimoodus & Sunrise and Friends of American Legion and Peoples State Forests, FALPS. FCSP has assisted these groups by providing guidance and suggestions in establishing their by-laws and setting up their 501(c)(3) status. Two new State Parks, Seaside in Waterford and Auerfarm in Bloomfield were acquired bringing the total number of State Parks to 109. The DEEP celebrated the 10th anniversary of No Child Left Inside and the Great Park Pursuit. In the past decade, more than 10,000 people have participated – reconnecting with nature and learning how to enjoy and appreciate the outdoors and the parks and forests. FCSP partnered with the DEP/DEEP in the early years of the GPP and No Child Left Inside. The 265 page Centennial Commemorative Book is nearing completion thanks to the diligence of Al Levere. It is in the final proofing as we speak. Friends of CT State Parks are supporting this effort with $10,000 raised as part of the State Park Centennial. FCSP served as an active partner organization for the State 2013-2014 CT State Park Centennial Year Celebration. FCSP worked on the DEEP Centennial Committee to develop the programs and events to celebrate 100 years of Connecticut State Parks. Worked in partnership with CFPA to design and develop a Centennial Historic State Park Photo wall display to exhibit at the Legislative Office Building for Connecticut State Parks Day. FCSP presented a State Park Centennial program for the 2014 Connecticut Association of Conservation and Inland Wetland Commission conference. The program was later presented at other civic organization meetings. FCSP worked with the Centennial Logo Development Team to design a logo for the Centennial Celebration. FCSP, in partnership with DEEP, developed a fundraising booklet to present to potential Centennial contributors. FCSP raised $50,000 to help support the Centennial programs and events. FCSP purchased Centennial pins which were distributed to all Friends Organizations, the governor, CT State legislators, and to the public. FCSP was involved with the concept of the Connecticut State Park Centennial Commemorative Book. FCSP helped Kick off and close the 2013 Centennial Sojourn event. Held a fundraising gala at the governor mansion in 1996. Held a reception and information session about parks & FCSP at the capitol in 1997. Funded printing of 100,000 trail maps for distribution in State parks. Provided funding for information kiosks which were built by inmates at Gates Correctional Institution. We commissioned the first comprehensive, full color guide and history of the Connecticut State Park System, A Shared Landscape, by Joseph Leary. The book continues to be a best seller among Connecticut outdoor enthusiasts. Created a Friends Handbook, to assist fledgling park support groups to become private, non-profit Friends organizations. In 1997, the FCSP spearheaded the development of the State Park Infrastructure Program or 2010 Plan formulated to return the deteriorating Connecticut State Park system to its former glory. 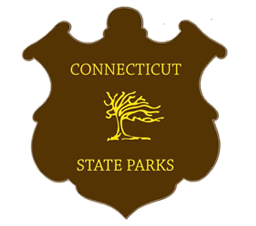 The FCSP, in cooperation with a bipartisan group of legislators, secured $114 M in capital funding to invest in, and improve the CT State Park Infrastructure over a period of twelve years. Sponsored a statewide Friends workshop to help State Park Friends Organizations better understand how the CT Legislative process works. Held a Legislative Breakfast and information session in 2005 at the State Legislative Office Building to inform lawmakers about the state of the State parks. Hold annual meetings with all members of the Friends group coalition to share the successes of each individual Friends group and define the goals for the upcoming year. Participated in the 2001 and 2009 Northeast State Park Directors Conferences which were hosted by the CT State Parks Division. The conferences highlighted the close partnership between the State Park Division and the FCSP. Served as an active partner in the development of CT Department of Environmental Protection No Child Left Inside Program and The Great Park Pursuit. In 2010, successfully held park fees to a 33% increase, down from a proposed 100% increase in all park fees. Conducted a seminar on Volunteerism as part of the State Park Division 2010 State Park Supervisor Workshop. Assisted the CT State Parks Division in the application and award of grants from Macy’s and The CT Trust for Historic Properties.